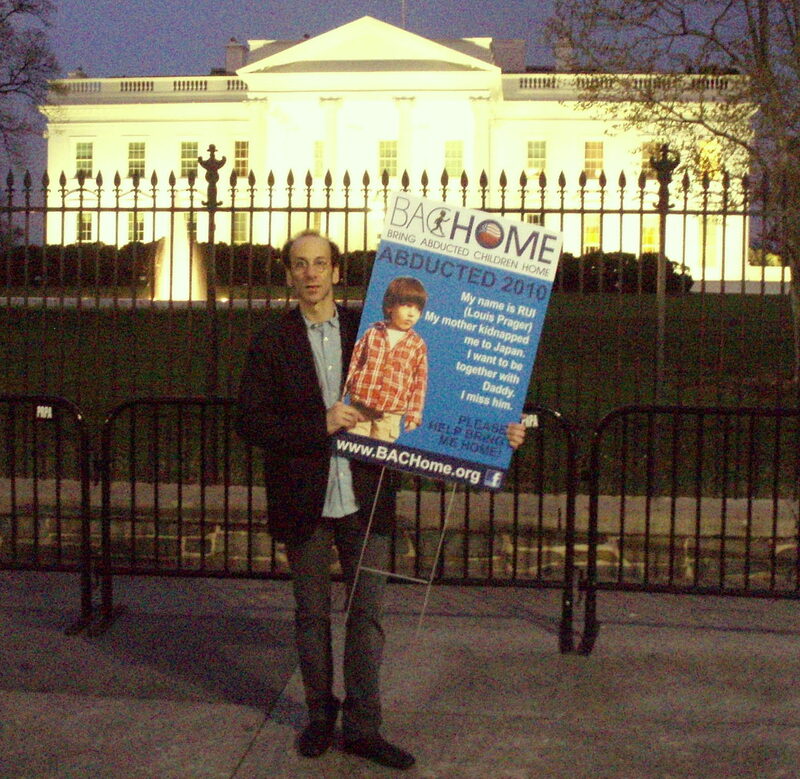 On April 9th, I joined with members of BAC Home in Washington to protest Japanese International Child Abduction at Sakura Matsuri, the annual Japanese Cherry Blossom Festival, and to urge the US government to take assertive action to bring our endangered children home. With the news of nuclear fallout and contaminated food and water ringing in our ears, the issue of our children’s safety in the aftermath of the earthquake, tsunami and nuclear disaster has gained in urgency. 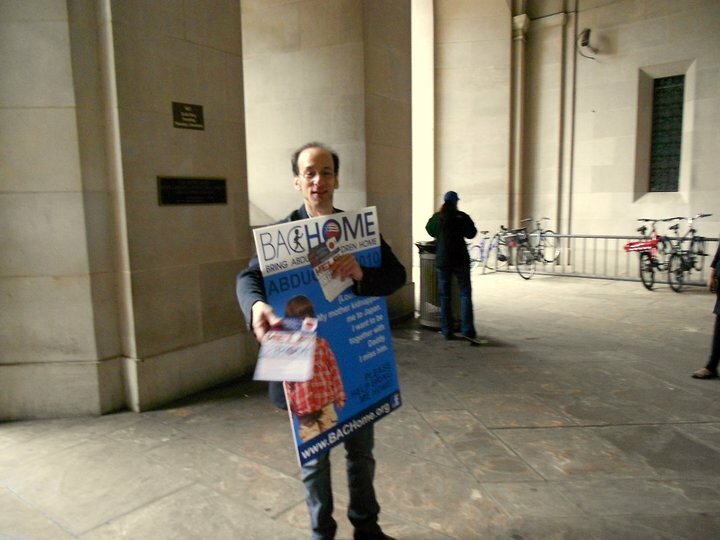 To drum up support and increase awareness, we handed out over 4,500 flyers and talked to hundreds and hundreds of people. 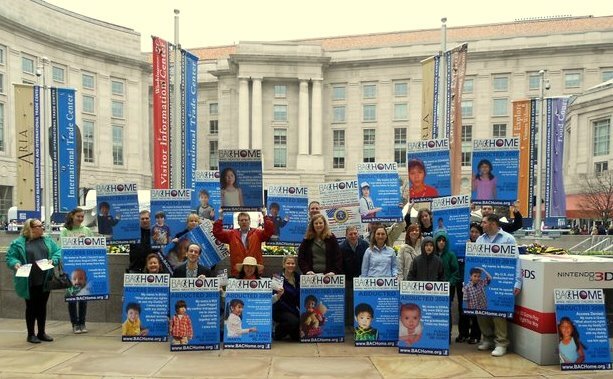 Our goals are several, but among them is to bring pressure to the Department of State to fight the ongoing treachery of the Japanese government with respect to parental kidnapping, the evil of Japan’s child-abusive sole custody rights, and to exercise our right to bring our loved and longed-for children to home and safety. The battle is excruciatingly painful; but it will never end until we have our children again. We will regain them or die trying. Brian, I always read your open letters and feel the crunch in my heart. But when I saw you holding Rui’s picture in Washington my heart took a nose dive. I admire your courage, tenacity and extraordinary love for your son. I just don’t know how you constantly summon up the strength to fight against this invisible phalanx of oppression so honestly and so fearlessly. You have my deepest appreciation.